Consider this scenario: Your client is facing a long prison term, if convicted of a crime for which there is conflicting evidence. The prosecution is about to present an eyewitness. Eyewitnesses can be highly persuasive. Their manner, their emotional connection to jurors and their belief in their own testimony can sway a jury. But the testimony the court is about to hear may not be valid. Eyewitnesses may be perfectly sincere in what they say, but did they really see what they think they saw? As a former police investigator with a Doctor of Optometry degree, my first inclination is to ask: "What was this witness capable of seeing under the circumstances?" The same eyewitness can give an accounting that is valid under one set of circumstances, yet, under different environmental circumstances give an accounting that is invalid. To understand this paradox, one must appreciate that the eyes and brain work together to form a visual perception and each has its limitations. Regrettably, the witness testifying before the court is unaware of his/her own limitations but is convinced that they are reporting events as they actually occurred. Vision is a complex sensory process. The eyes are sensory organs that convert particles of light into nervous impulses. The impulse travels from the eye to the rear of the brain and forms an image. Other parts of the brain integrate the image and give it a label or name. Many factors come together to form a perception. For a valid eyewitness testimony, there must be an aggregate of optimal conditions. These conditions include: sufficient lighting, field of view, line of sight, observation time, alignment on the central retina and elimination of refractive error and disease. Valid eyewitness observations in an otherwise well lighted environment might not be valid if it occurred in a darkened environment. Other factors that might limit the validity of an eyewitness' identification are distance, movement, short observation time, refractive error, disease and emotion. In any visual observation, there are missing bits of information. The brain creates perceptions by filling in missing or ambiguous information with cognition, memory and expectation. The brain takes incomplete images of the outside world and tries to make an orderly and logical perception. For this reason, knowing what the eyes were actually capable of seeing becomes imperative. Too often, eyewitness testimony is challenged on purely psychological and memory terms without consideration of the physical conditions of visibility. Recently, a Colorado district court acquitted a man of sexual abuse of a minor because it was proven that it was absolutely impossible for the eyewitness to have seen any of the things she had reported. Similarly, a police officer was found innocent of homicide because he was incapable of seeing that the criminal attacking him was not armed with a deadly weapon. The conditions of visibility at any crime scene need to be documented and evaluated by a professional in the field. Just because an eyewitness believes something occurred, does not make it reality; conversely, because the physical evidence does support one scenario does not mean that a witness could not have perceived it contrary to what physical evidence supports. 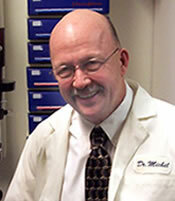 Dr. Paul Michel, OD, is an Eyewitness Expert specializing in Eyewitness Identification and Eyewitness Testimony with regards to false identification and threat assessments. He is an experienced Optometrist and formerly a police specialist investigator for the LAPD. He provides eyewitness expert testimony and opinions regarding human vision as it relates to eyewitness identification, motor vehicle collision, and threat identification in self defense. Dr. Michel also provides scientific assessment of what an individual could or could not discern in various conditions pertaining to vision.